Zurich is the largest city in Switzerland and the capital of the Canton of Zurich. It is situated on the northeastern tip of Lake Zurich in north central Switzerland. The Zurich airport and train station are the busiest and largest in the country. Zurich is a hub for road, train and air traffic. It is a leading global city and stands among the world’s largest financial centers. Apart from these, Zurich is a city with a big sporting activity. 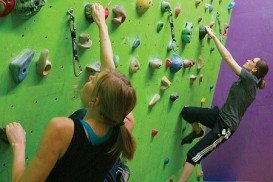 Indoor Rock Climbing is a sport that lately is getting very popular. 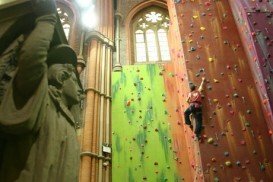 If you are too afraid of trying outdoors rock climbing, you may want to have fun inside so as to overcome your fears for heights. 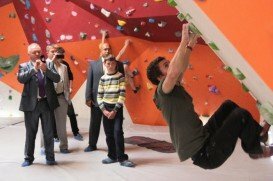 The indoors facility in Zurich offers 4 halls, a boulder area and an outdoor boulder rock. The first hall was built in 1994, hosting up to 17 m /56 ft high walls on all four sides and a column in the middle, reaching up the ceiling. The boulder area in the first hall provides with 15 boulders. The second hall was built in 1996 and it consists of two other hydraulically adjustable walls for different slopes. Some routes lead into the roof, thus reaching a length of 25 m / 82 ft above the ground. The bouldering area in the second hall offers 6 boulders. The third hall is the largest and was built in 1999. 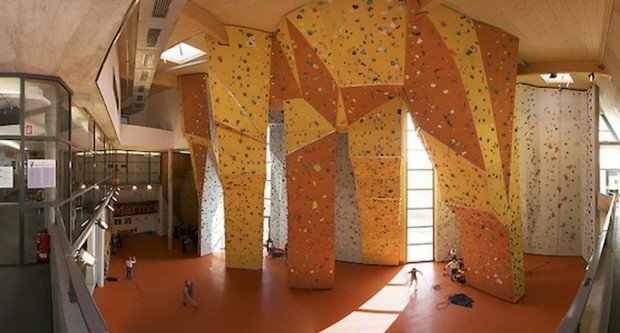 Inside the third one, there are several walls for novices and advanced or professional climbers, challenging them all with two extremely steep walls, where national and international competitions are regularly held on the spot. In the spring of 2001 and the fall of 2002, it was expanded to a total of four walls. 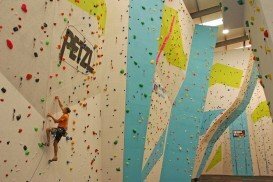 The bouldering area in hall 3 has 40 boulders. The fourth hall is available since summer of 2003. In order to bring variety, it is equipped with 3D walls and a rock structure between the striking tower and the adjacent wall, where even high caulking can take place. The basement floor is a large boulder with a huge stalactite. Bouldering area in hall 4 offers 60 boulders. Last but not least, the outdoors area has been expanded year after year since 2001 when it was created. 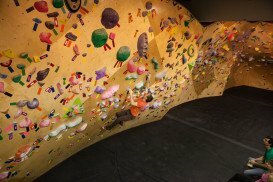 It hosts 20 boulders and a 3D wall since spring of 2003. It is a facility you should definitely visit. It is absolutely certain you will have a blast! Flagstaff is a wonderful city situated in northern Arizona, in the southwestern USA. It is also located south of the San Francisco Peaks, which is the highest mountain range in the state of Arizona. London is the capital city of England and the United Kingdom and it is situated on the River Thames. The climate here is classified as a temperate oceanic climate, with chilly winters and warm summers. 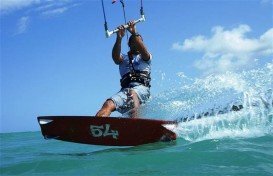 This exciting city is noted as much for its historical buildings, museums, galleries and attractions as for its sports and leisure activities. 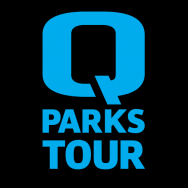 The QParks tour is finally arriving in Switzerland on March 11 for the Oakley Schilthorn Open tour stop in Skyline Snowpark Schilthorn. 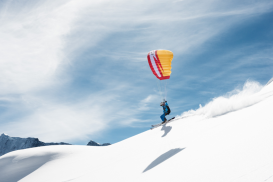 Freeskiers and snowboarders who will convince judges with their skills will head back home with full pockets! Geneva is the capital city of the Republic and Canton of Geneva. 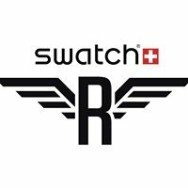 It is the second most populous city in Switzerland and the most populous city of Romandy which is the French speaking part of Switzerland. Geneva is situated where Rhone river exits Lake Geneva. Geneva is an international destination, a worldwide center for diplomacy, a financial hub and the most important home base for numerous international organisations. Taking place in the city of Zug, on August 14th to 16th, Boardstock Sport & Music Festival is the most beautiful sports and music festival in Switzerland.